Hello readers! I’m finally getting to share my recent DIY, and its one of the two handbags I had been looking forward to making these holidays. I had saved up (AD) the pattern ((The link will take you to my craftsy shop where you can download the pattern for free. Craftsy is an online worldwide craft community offering online classes and patterns. 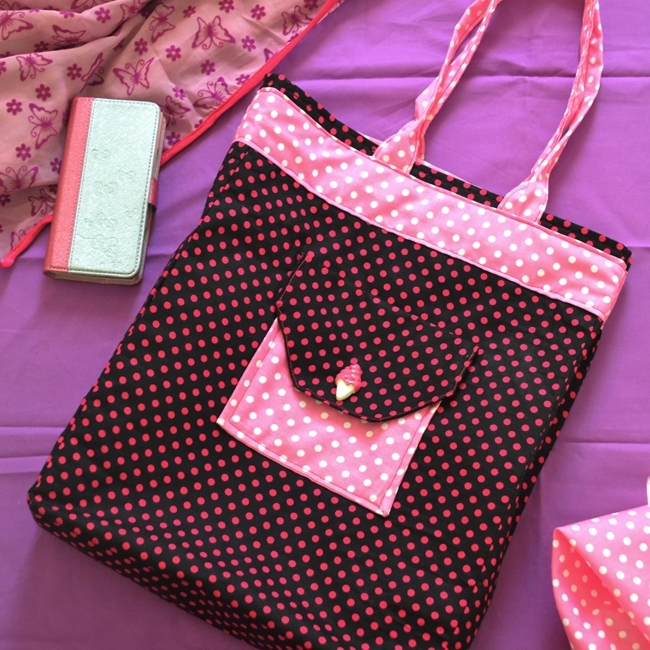 To know more about Craftsy click here) a month ago I guess, after the failure of the hobo bag and was really excited for this one because of all the details included in the pattern. I just knew this bag would turn out way better than the silk hobo bag. Plus I really wanted to make a GOOD bag, you know, not the usual tote bags without zips and I wanted some really good pattern and when I saw the FREE pattern for this bag, I was overjoyed and saved the pattern immediately, and waited desperately for the break so that I would start working on my new bag. 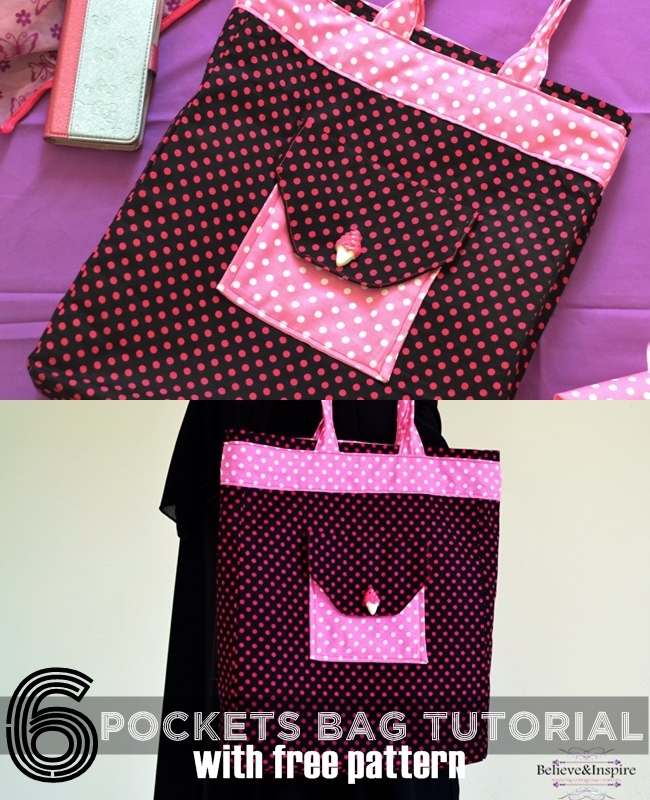 Like us on facebook for more patterns and tutorials. You might have seen my celebratory post on instagram. I bought 4 different fabrics from Nagoya Textiles here in Malaysia. Important info for those who’re living here and have trouble finding the right place to shop for fabrics. Take my word, you’re gonna love this place. I was actually getting cotton fabrics couriered from KSA until one day I miraculously found Nagoya textiles. And, since then it’s my one stop shop for all my fabrics. They have all sorts of home decor and wearable textiles, and the collection is HUGE. I had thought of making this bag in turquise and pink color but at the shop I totally forgot and ended up buying to shades of pink. Nevertheless, it turned out good, but now I have another pink colored bag :/. I did quite a few alterations to my bag. 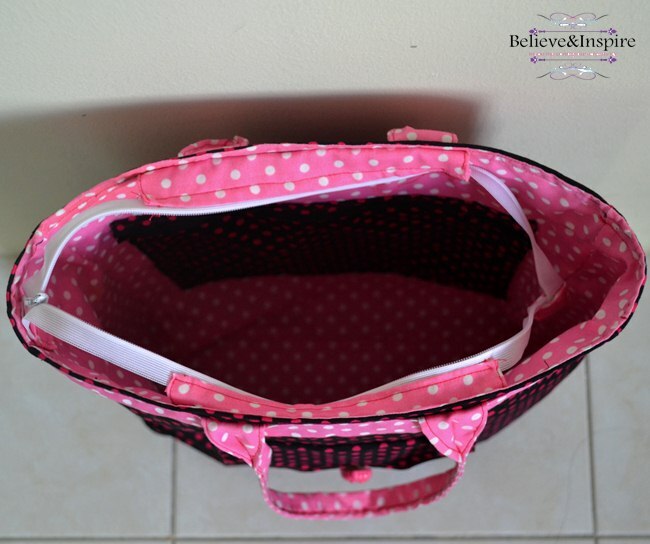 Firstly, the size of the bag, I wanted a bigger bag so I went for 9×15″ and due to that alterations I messed up the length of back and inside pockets. I also opted out of the side pockets because I didn’t like the look of it. And, finally I added a top pink strip because it wasn’t looking good earlier. 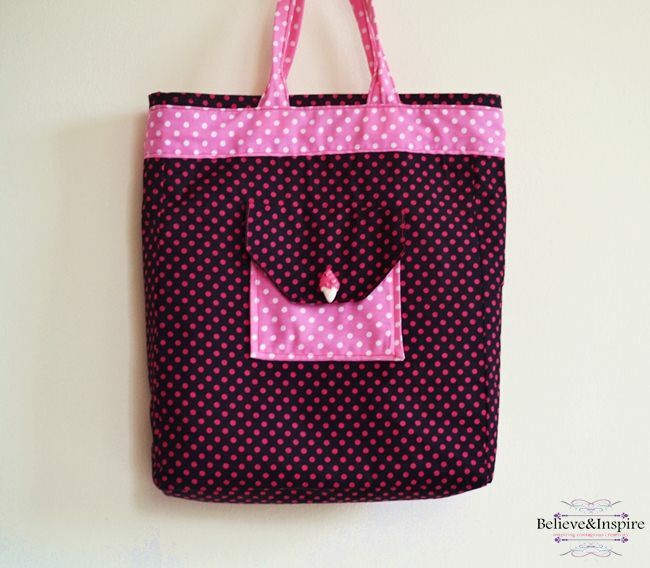 If you would like to make this bag you can get the (AD) pattern here ((The link will take you to craftsy where you can download the pattern for free. 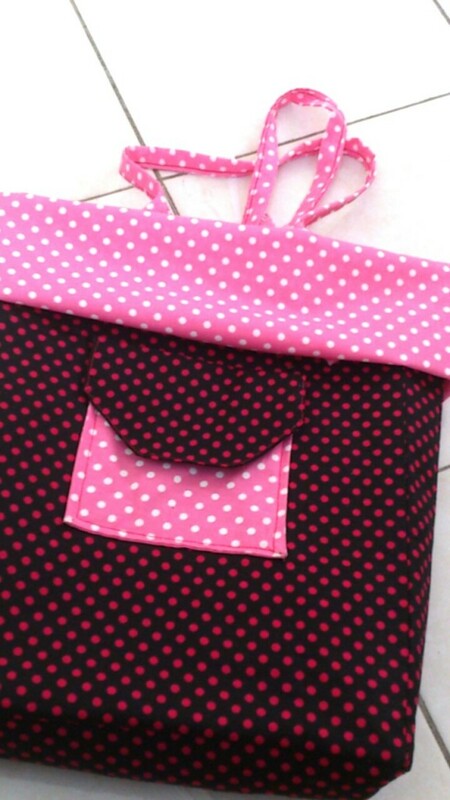 Craftsy is an online worldwide craft community offering online classes and patterns. To know more about Craftsy click here) totally FREE. Just can’t be thankful enough to the designer for providing the super awesome pattern free of cost. :D:D Don’t delay you guys get it before it’s gone. This one’s a KEEPER! 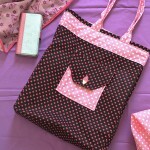 Now, what color combo would you make this bag in? Share your comments by clicking on this post. This is fabulous! 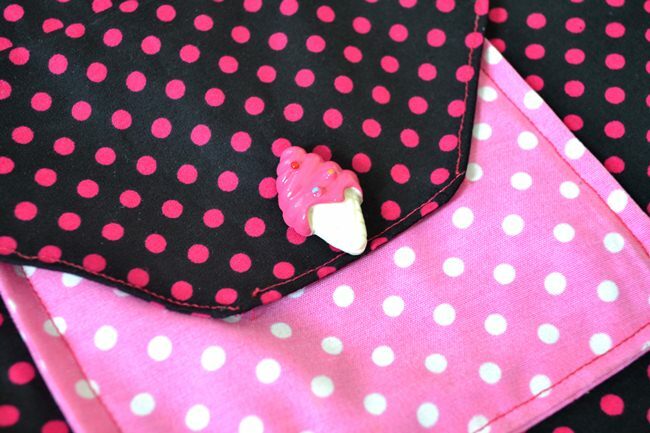 I adore the ice cream button and the zip closure. I’d love to see you join us at the Inspire Us Thursdays! link party at http://www.theinspiredwren.com. Very nice bag! 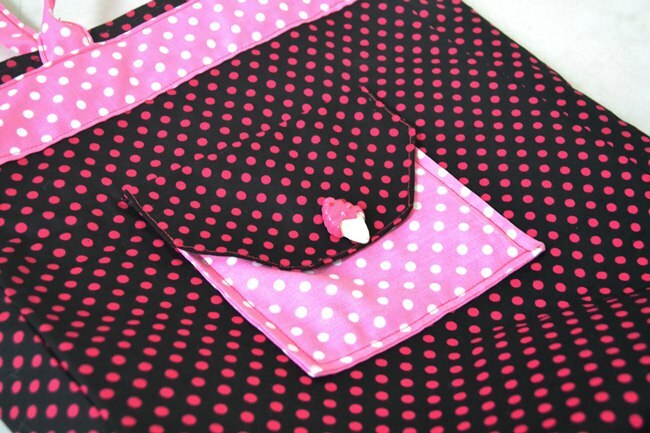 I love all the pockets – polka dots are really cute, too. Great bag. Come link it up with us in today’s linky party. Would love it!